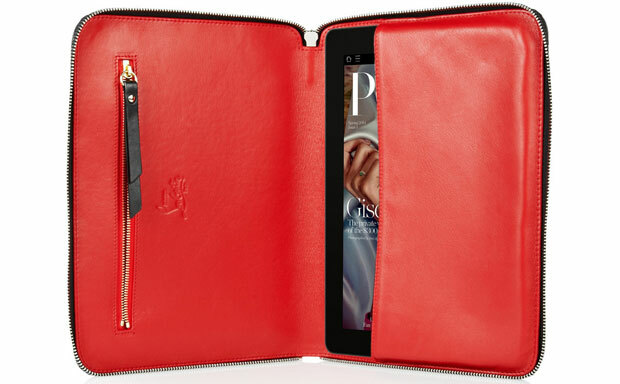 The folks at Christian Louboutin continue to treat iPad owners to sublime folio tablet cases. 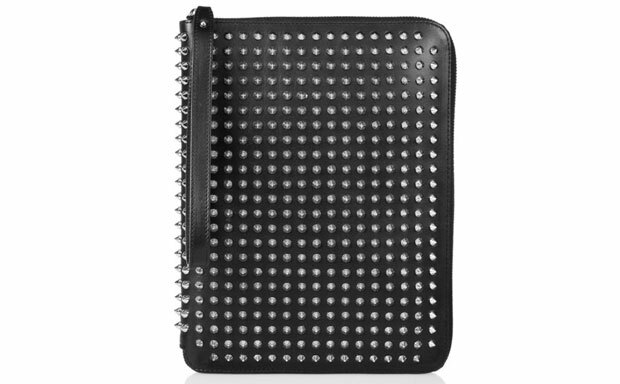 Their latest one is also called Studded Leather iPad Case, but delivers a slightly different design from the predecessors. It’s crafted from the same genuine calf leather, but sports gunmetal cone studs all over the front and back sides. There’s an internal zippered pocket and a lanyard to carry the case. The folio can be completely closed with the zipper lock.